Dessert so easy the kids can make it! Want an easy chocolate and peanut butter dessert that everybody will love? And it's so easy that the kids can make it from start to finish. No cooking required. No hot oven to turn on. A cool, refreshing dessert that the whole family will love. 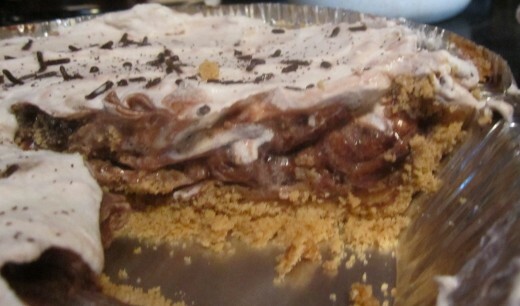 Okay, so you've probably heard of a no bake chocolate pudding pie recipe topped with whipped topping...? Well, this recipe is all that plus a secret ingredient. 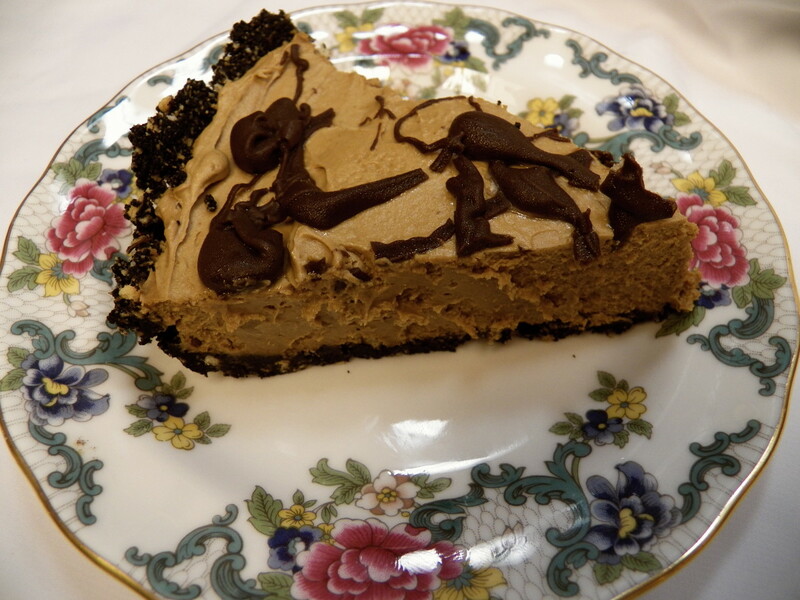 It's not really a secret that chocolate goes perfectly with peanut butter, so we're adding peanut butter to this cool, delicious, no bake pie.This chocolate pudding peanut butter pie is great for summer, as it's served cold, directly from the refrigerator. Requiring no cooking or baking, it keeps the kitchen from getting hot, and the steps involved in putting it together are simple and safe for children of all ages to do. 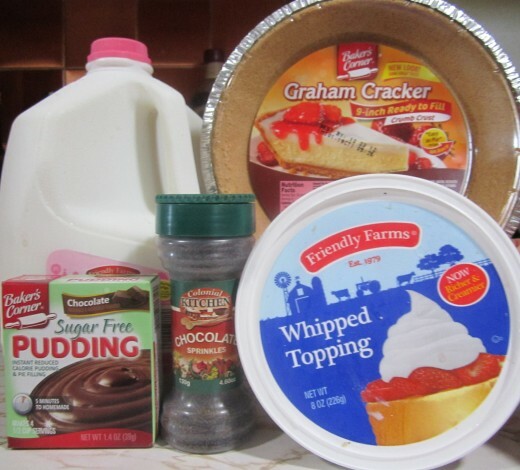 Mixing ingredients, filling a pie crust, smoothing and sprinkling--all activities that are fun and easy. Few ingredients! Don't forget the peanut butter, as I almost did! Spread peanut butter quickly! The peanut butter here is already starting to harden. Mix dry pudding packet with milk. 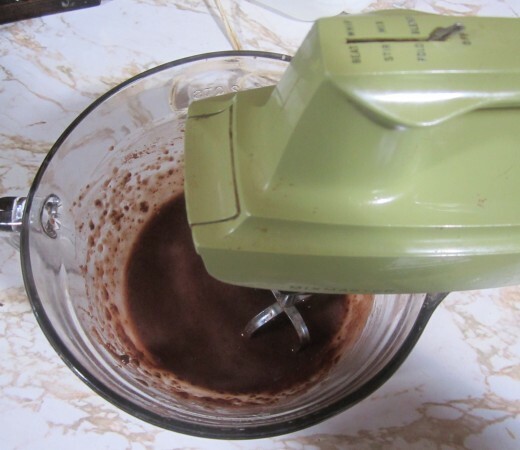 You can use a wisk if you prefer, but I think that mixing with a beater for two minutes makes the pudding smoother and thickens it more quickly. Plus, kids love to use a mixer; it feels as though they are really cooking. Ask me, as the official cake baker of all the birthdays in my family at the tender age of ten years old! 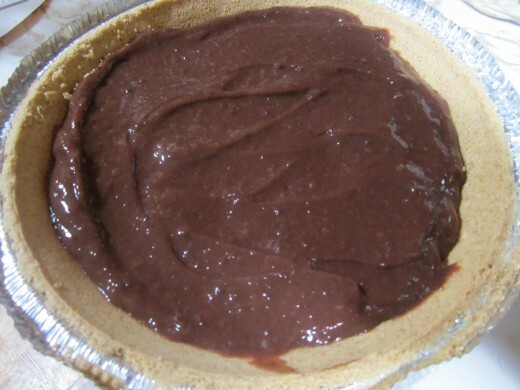 After a good mixing, set the pudding aside. 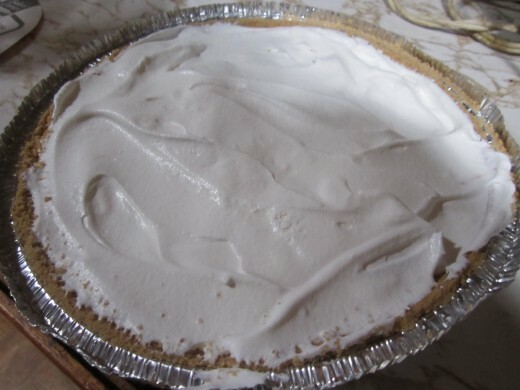 Open up graham cracker crust. Actually, I prefer the chocolate crust. Purchase one or crush up Oreos (or other chocolate sandwich cookies) with some melted butter (about 2 Tbs. or so) to make your own. Just mix and press into a pie pan. If your store-bought crust has a plastic cover, save it. Turned upside down, it will make a great lid once you're finished. Soften peanut butter for 30 seconds in the microwave. This will make spreading the peanut butter much easier. Spread onto crust and up sides very quickly as peanut butter won't take long to start solidifying. 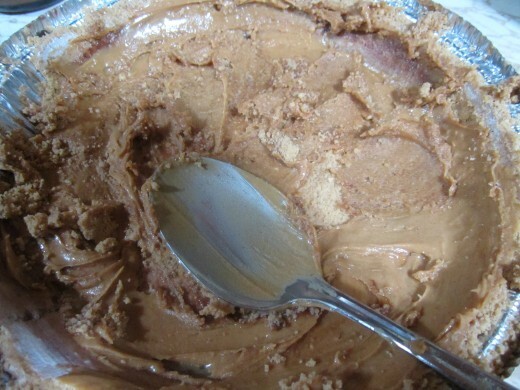 Pour pudding over peanut butter and spread until smooth. Put in refrigerator to set for at least an hour. Add about half a tub of whipped topping that has been softened at room temperature. Put more if you'd like! Who wants to spread the chocolate sprinkles? 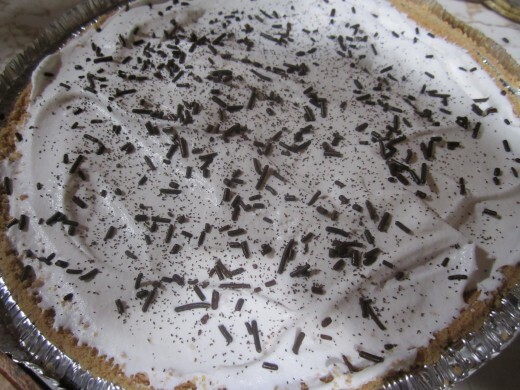 Sprinkle on top of whipped topping, using as much as you--or the kids--want! this is great for kids, they love it for snack, is it too much sugar? I love this recipe, Vicki. It looks so delicious and yummy to make for pudding. Voted up! Thanks, Audrey! I like not having to make the crust, but homemade crust is good, too! It looks yummy.The pics are awesome. Thanks for sharing it with us! Thanks, steph! It's a great combo, that's for sure! Try it, jpcmc! It's so quick, too! Peanut butter alone makes me want to try this. The fact that it's no bake makes it even great. It IS delicious and easy, Random! And, yeah, you can't go wrong with chocolate and peanut butter! I agree with Susan about chocolate and peanut butter. I also love cream pies! This sounds delicious and easy. You're welcome, Alicia! I love this recipe! I had to read this hub when I saw "chocolate" and "peanut butter"in the title! I love this combination of flavours, and your pie sounds so easy to make and looks so delicious. Thanks for the recipe. Vellur--You can easily make this one! Thanks for the "yummy" vote! Now if only HP would add that button! Rosemay--This little pie is good for everyone! And so darn easy! Enjoy! Delicious and a really easy recipe. I think I can make this one!! Thanks for sharing. Voted up, delicious and yummy!!!! Kids and little old ladies yeah? I will be trying this with the orio base. love chocolate and peanut butter. Yep, teaches, I couldn't wait to try it! The missing piece was mine. Yummy! I love it. Next time, I'm definitely going to make it with the chocolate Oreo crust! Oh my goodnesss, what a great looking pie. Was the missing piece yours? This is definitely a blue ribbon winner with me. Thanks for sharing. I hear ya, rebecca! This recipe is for adults, too!! Forget the kids! I love peanut butter and chocolate together! 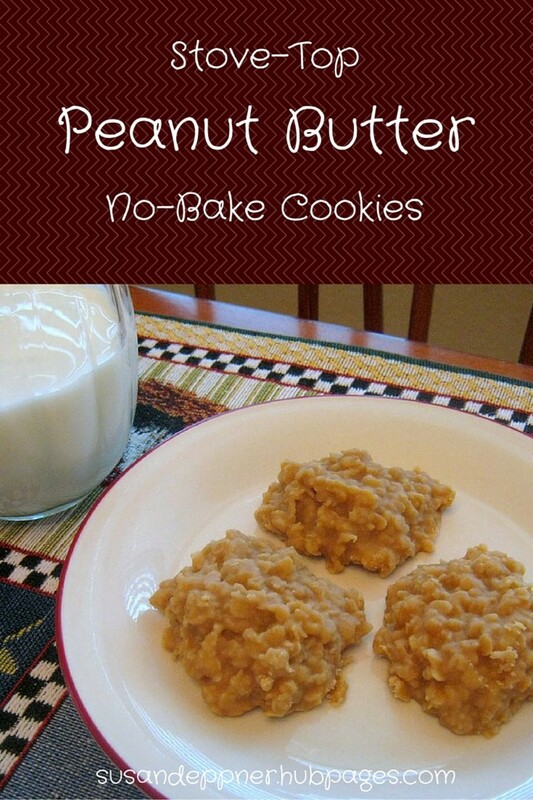 Voted up, and bookmarked to try.Great recipe! Mmm, sounds very yummy and easy! I like anything with peanut butter and chocolate so I will have to try your recipe. Looks and sounds so good!